We’re putting together a series of publications which aim to dispel search marketing myths and get to the bottom of modern Digital Marketing. There are multiple optimisation methods that can have a positive effect on your rankings; an important part of the process is attribution modelling. Throughout this booklet, we’ll introduce the concept of attribution and why it is important to your Digital Marketing campaign measurements. We’ll also provide a glimpse at how to use attribution to get a bigger bang for your marketing buck. Our research shows that whilst Attribution Modelling is tried and tested for PPC campaigns, it’s rarely applied across other digital marketing channels, such as organic search, email, display or social networks. With only half of UK businesses using Attribution Modelling, we’re on a mission to promote the virtues and best practice of this insightful, money saving marketing tool! 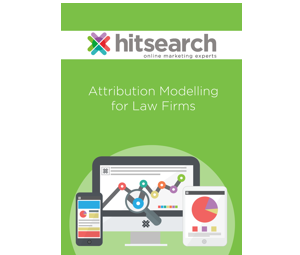 Simply fill out the form to the right and you’ll have direct access to download our guide to Attribution Modelling.